DIRECT FROM LOURDES - Gold Plated Amethyst Swarovski Cross Bracelet. Gold Plated Amethyst Swarovski Cross Bracelet. 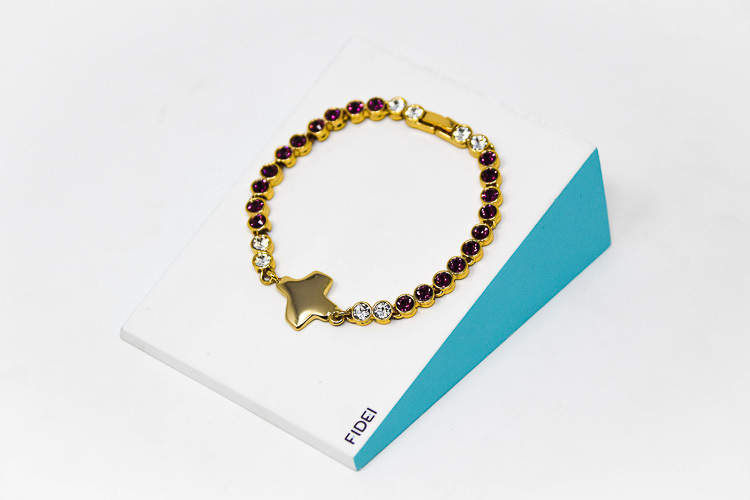 Fidei gold plated bracelet with amethys swarovski crystal beads and a cross pendant. The base metal for this bracelet is palladium, which is a rare metal of the platinum group that does not oxidize. This bracelet is hypoallergenic and nickel free.